The GEF Small Grants Programme (SGP), implemented by the United Nations Development Programme, launched the global component of the Indigenous Peoples Fellowship Initiative in November 2016 at the UN Climate Change Conference in Marrakech, Morocco and at the Convention on Biological Diversity Conference of the Parties in Cancun, Mexico in December 2016. Four indigenous women were selected through a competitive process to become GEF SGP's first-ever global fellows. These women will carry out work in the areas of biodiversity conservation and climate change adaptation. The fellowship initiative responds to a need expressed by indigenous peoples during consultations for targeted capacity development. The aim of the global fellowship initiative is to develop higher-level skills and capacity of emerging indigenous leaders by supporting their advocacy work on global environmental and sustainable development issues, while also advancing the work of their communities, organizations and networks at national, regional and global levels. The application process was open from May 23 to July 31, 2016. A selection panel of IP leader representatives, composed of both men and women from all regions, reviewed, and assessed the more than 500 applications received and selected four fellows. A national fellowship component to be implemented in eight countries in four regions will be launched in 2018. Edna Kaptoyo is an indigenous Pokot woman from Kenya, and is the Executive Secretary of the International Alliance of Indigenous and Tribal Peoples of the Tropical Forests. Edna is a social development specialist, human and women’s rights advocate, and is actively engaged in UN and related international processes focusing on advancing the issues and concerns of indigenous peoples in Africa. Edna is a member of the advisory council to the International Indigenous Women’s Forum and its Global Leadership School of Indigenous Women. Currently, she is a member of the Kenya UN-REDD Forest Carbon Partnership Facility REDD Readiness Taskforce. As a fellow Edna hopes to influence decision-making on climate change and gender with a special focus on indigenous women and their role in natural resource management in Africa. She seeks to enhance her capacity in better documenting indigenous women’s experiences and knowledge in environmental management, while ensuring their rights are protected. Edna’s activities in 2018 will include a month-long exchange visit with the Asia Indigenous Peoples Pact in Chiang Mai, Thailand to facilitate knowledge sharing on advocacy strategies, fundraising and research on climate change. She also plans to participate in the International Indigenous Peoples Forum on Climate Change and work with the gender and women constituencies during the climate change inter-sessions and Conference of the Parties. Community leader Edith Bastidas is an indigenous woman from the Pastos community of Nariño in southern Colombia. 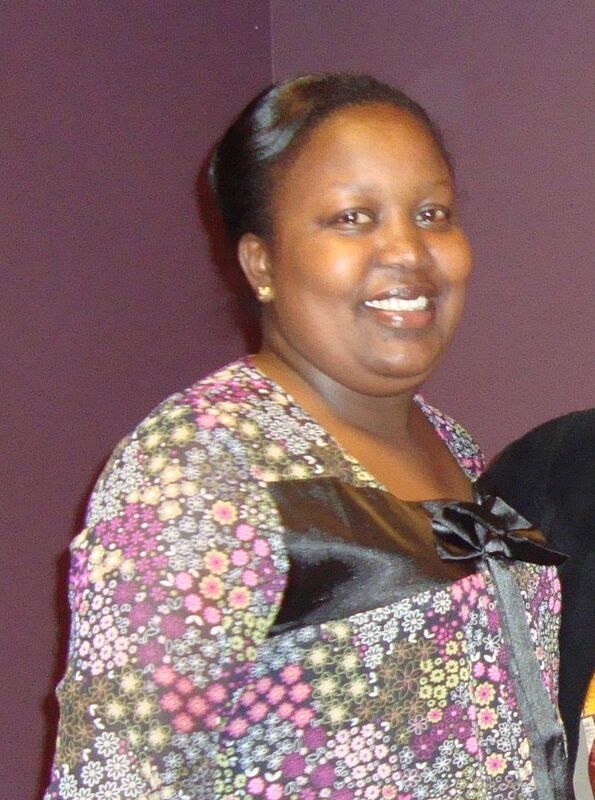 Edith is a lawyer specializing in constitutional and parliamentarian law. She has held various high-level positions in Colombia including manager of the Ministry of Indigenous Affairs of Antioquia, and researcher and director of CECOIN, the Center for Indigenous Cooperation. Edith is also the focal point in Colombia for the International Indigenous Women’s Network on Biodiversity. Edith will focus her fellowship on developing the capacity of Latin American indigenous peoples’ communities, particularly indigenous women on the CBD and the Nagoya Protocol to ensure the protection of indigenous knowledge and its associated genetic resources. She seeks to strengthen her advocacy skills to promote indigenous concerns and issues both internationally and nationally at the policy level- of interest is the ratification of the Nagoya Protocol in Colombia. 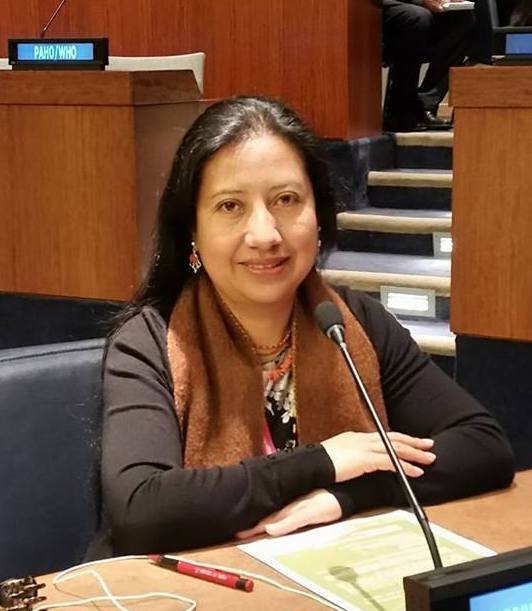 In 2018, Edith will work on strengthening and promoting Latin American indigenous women’s engagement in international processes related to biodiversity conservation such as the CBD, IPBES, The Intergovernmental science-policy Platform on Biodiversity and Ecosystem Services and the High Level Political Forum on Sustainable Development. She will also be taking an intensive English language course at New York University. 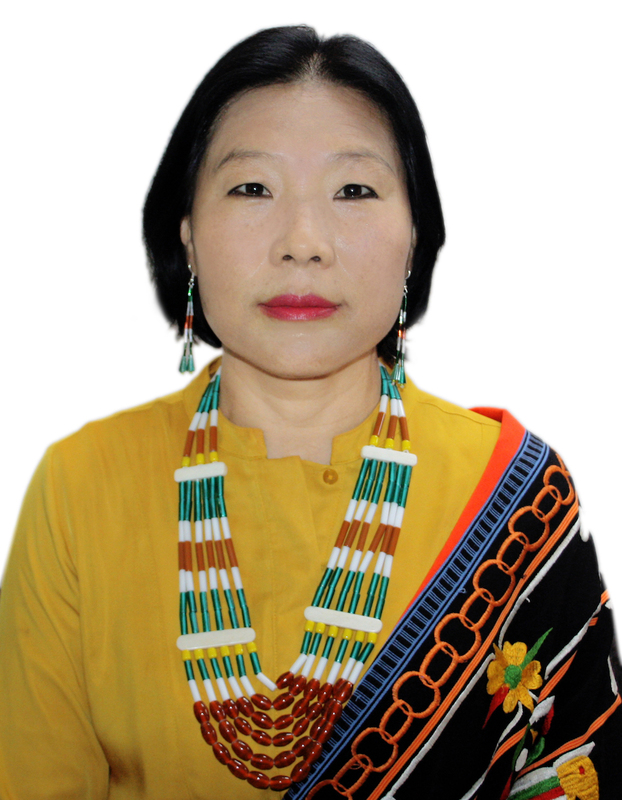 Thingreiphi (Athing) Lungharwo is a member of the Naga Women’s Union in Northeast, India, and belongs to the Tangkhul Naga community of Ukhrul, Manipur, India. Athing has coordinated the Asia Indigenous Peoples Pact (AIPP)’s environment programme at the regional level, and has worked closely with the International Indigenous Forum on Biodiversity. Athing began her career as a natural resource management organizer and a project technical officer for the Northeastern Region Community Resource Management Project in India funded by the International Fund for Agricultural Development. Athing will use her fellowship to further her advocacy for indigenous peoples’ rights and environmental protection at the international level. She will focus on bringing greater attention to the value of biodiversity in addressing solutions to poverty reduction, and enhancing sustainable development and well-being. She hopes to meet the needs of her community as a strong indigenous woman leader. In 2018 Athing will focus on the development of traditional knowledge indicators. She will contribute to the AIPP project on culture and biodiversity in Northeast India, and work on organizational strengthening for a Naga women’s organization.Through an Integrated Mountain Initiative (IMI) project she plans to work on building a consortium of young tribal researchers to undertake studies on mountain peoples, approaches, and practices to combating climate change in the Indian Himalayan region. Zahra Ouhssain, is from Rissani, southeast Morocco. She is a journalist with the Amazigh national radio and is a producer and host of several programmes in Amazigh. Zahra also works for various community radios, such as climate radio and has covered the 22nd United Nations Framework Convention on Climate Change (UNFCCC) Conference of the Parties, COP22. In 2016, she received a prize from the Royal Institute of Amazigh Culture in communications because of her radio programme on the conservation of the oasis in the context of climate change. Zahra coordinates the women’s committee of the Amazigh Network for Citizenship that fights against the discrimination of the Amazigh people in Morocco. Given her background in communications, Zahra’s main objective with the fellowship is to raise awareness with the public on the importance of conserving natural resources. A key component of her fellowship will be to develop the capacity of journalists on the Amazigh use of traditional knowledge and practices to adapt to climate change. Among her plans for 2018, Zahra will produce a documentary on the traditional management of water resources. She will hold a workshop with youth on the importance of conserving water resources. She also looks forward to participating in the UNFCCC COP24 to share the traditional knowledge practices of the Amazigh in water management. 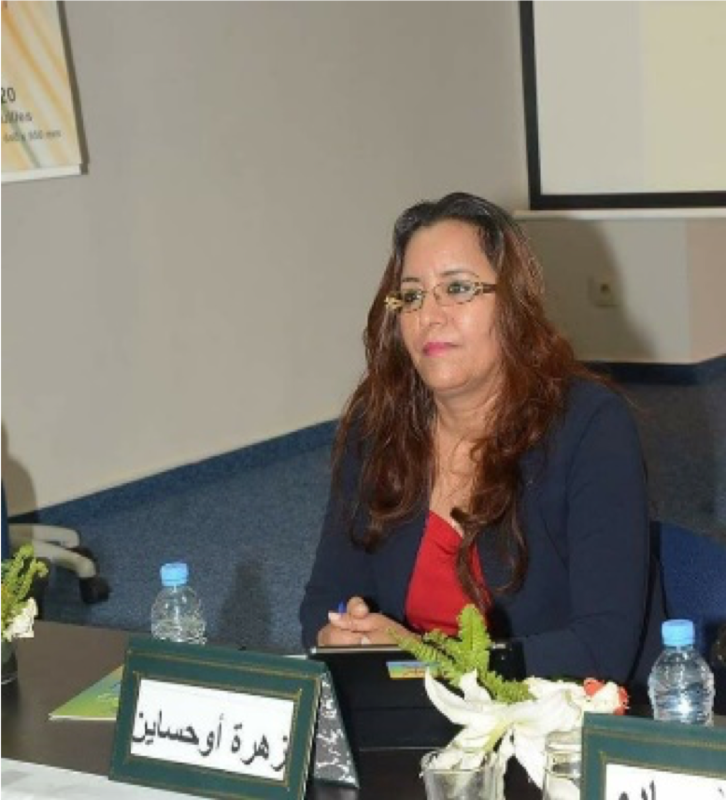 Moreover, Zahra plans exchange visits to Tunisia and Algeria on community management of oases and seeks to develop a community network in the North African region.